I’ve just gotten into using Pandora. I don’t know what the difference is between the things that I’ll jump on the bandwagon for and the things that I won’t. Some of them that I’ve just started – itunes (I’ve always liked actual CD’s – call me crazy), instagram (no idea yet), or even Words with Friends (the students have me playing it, but I’m absolutely terrible.) Maybe I wait and see if it will catch on (still waiting on Google+) or more than likely, I wait until I have some free time to try it out and it’s easy to access. I still haven’t figured out the “cool” Pandora play lists yet, but I have a couple that I love and regularly jam to. The thing that I’ve noticed more than anything is how long it takes me to realize that the music has stopped. You see, if you listen long enough, or if you like me listens while you work, eventually the music is going to stop and you’ll click on the box and you’ll see a message that inquires whether you’re still listening or not. There are some days when I immediately notice, whoa, whoa, whoa, the music has stopped. There are other days when I’m running a bit more on the ragged side or if I’m deep in thought or a project and I finally realize it but can’t remember where along the way it stopped. Yesterday, for the first time in many, many years, Mike and I worshiped together at a local church. Neither of us responsible for any part of the service. No preaching, speaking, singing, playing the piano, announcements…nothing. Several things struck me all at once. One, I was tired. And it’s a lot easier to zone out and yawn really loudly and for a long time when you’re not the one leading worship. I noted that there’s something energizing or I would say more accurately – Holy Spirit infusing – about leading worship. Sometimes it’s hard to go from closing your eyes during the prayer to focus in on what’s being said. Then I began to wonder to myself about how the folks in the congregation feel? After a few moments I arrived at the conclusion, that a lot of it had to do with me. If you are an active participant in worship – singing, listening to the words of the prayers, paying attention to the children’s sermon – than you’ll get a heck of a lot more out of it. When I calmed down in my own skin for a minute and actually tuned in to the word God was speaking, I was able to realize that somewhere along the way, the music had stopped and I indeed needed to click the “I’m Still Listening” button. As pastors or those that work in the church, how often are we tuned into the word God would have us share with our congregations, but we’re not quite as open, when we’re not the ones in charge, doing the feeding, and being open to the ways that word will be revealed to us? I don’t know about you but I feel like there are times when we have been coasting and cruising and we’re doing the appropriate motions and the right spots, but our movements aren’t connecting with our brains. Things are going pretty okay, but if we tuned ourselves in just a bit more to the music flowing all around us, things would be going pretty fantastic…or at least more in tune. Once I got my head and my heart communicating and opening up, I heard a great, convicting, challenging, and well-thought out sermon that was a confirmation that I needed to wake up and do some listening. Isn’t it funny that God brings those things that we need to hear? We just need to clean out our ears sometimes and sort through distractions to get to the place where we can feel and know the presence of God clearly and actively. What are ways that we stay in tune to God’s music? What are the things that get in the way and distract us? 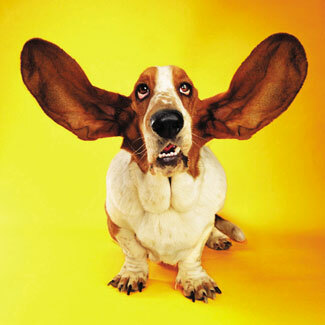 What are ways that we can practice listening or centering? 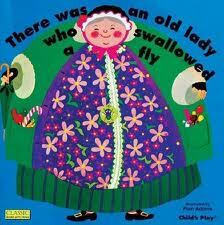 One of my favorite books as a child was “There Was an Old Lady who Swallowed a Fly.” My grandmother was a librarian so she had the inside track on all of the good children’s books when we were growing up. I don’t know if it was the rhyming or the irony of my lovingly prissy grandmother reading us this book about an old lady who swallowed a fly, but I loved that book. It’s kind of morbid if you read all the lines but hey – it was memorable. Last night I enjoyed a dinner where one person found a fly in their food – still alive – stuck in the thousand island dressing and then when the manager came over to check on our main courses as they had arrived, we found two large hairs coming out of my steak. Delish. This is a place where my parents have eaten often and I’ve eaten there a few times with them as well. We have had many good meals there and so in some ways, having one REALLY bad experience, you would think wouldn’t cancel out all of the good experiences. But then there’s something with something like this that makes you pause and think to yourself, if there’s live flies and steaks with hair coming out of the kitchen, what’s happening on the inside? One of yesterday’s lectionary texts was Philippians 2:1-13 and there’s so much that can be learned from that text about who we are on the inside and what a community looks like when Christ’s love is lived from the inside out. Jesus didn’t just put on a nice facade on the outside to cover the decay on the inside. He lived out his calling authentically and radically. I know none of us are perfect and that sometimes the example of Jesus seems a bit daunting in a hurting and fallen world, but my hope is that even if Gordon Ramsey was to pop into the sometimes dirty kitchen of our hearts, that we are real with the things that challenge us and the things we’re working working and that we excel at. May we need just treat the outer symptoms, but also the very roots that can sometimes creep in and hold us back….whether that’s pride or arrogance or self-indulgence or anger or frustration or self-sabotage or lack of care. Hope I don’t have any more memorable meals any time soon but a good word for our Wesleyan way of checking on how well it is with our soul. Thanks be to God for the grace and the continued love and healing and Spirit to keep moving and growing and changing and drawing more and more closely to God. Y’all know I’m a lover of Broadway and with all of the Tony’s it received Sunday night – I’m not the only one who thinks The Book of Mormon is one of the funniest and heart-felt musicals to hit Broadway in a while. The story follows Elder Price and Elder Cunningham as they are sent to Uganda, Africa. Elder Price really had his heart set on Orlando, but they’re sent to Uganda. All sorts of hilarity as well as the tension of real issues of faith, theodicy and how to deal with the crud of life ensues. One of the songs at the beginning of the musical that highlights Elder Price’s being the shining star of all things and his belief that he’s going to rock anything he does is called “You and Me (But Mostly Me).” I think it says a ton about how we see ourselves in ministry sometimes. Rev. Bob Howell during his leadership seminar during Annual Conference talked about the Lone Ranger who have heard about a ton in the old model of ministry. In the midst of an election year, there’s always a bit of the sense of self-promotion or arrogance or those type words that get thrown around. Thoughts like – but I’m smarter than the person or have put more years of service in or have a harder appointment or would study harder or would be more balanced or am wiser than so and so. There’s a sense of competition or a if this person gets this, what does that say about me kind of thing that takes place sometimes. I don’t entirely know how we combat that, but I feel like a lot of it is setting a tone that we are all in this together and that it’s for the good of the church. Who wouldn’t want to be the one to do this big thing??? That’s sort of what the song is saying. But you know – how much more powerful and contagious is an entire movement??? I don’t see the GC and JC folks we elected as having these shiny halos or spotlights on them like movie stars, but as servants of the church that stepped up and who are making decisions in the church with all of us. The thing about the present and future of our church whether you’re a death tsunami-er or a let’s die to live person or a let’s just get the Spirit of God moving and continue growing into what it means to be Church-er, we all want the same thing. Or at least I hope we are. I don’t care if one person or a body of people or what I’d like – a movement of people – begin this renewal, reformation, outpouring of the Spirit, commitment to prayer, spiritual practices and the scripture – putting it all into action. We just need to do it. To live it. To breathe it. To commit to it. To prayerfully and intentionally go forward. We are all in this together. Whether fresh out of seminary, whether just commissioned or ordained, whether second career, whether retired, whether right in the middle of our pastoral ministry, whether young or old or not wanting to be classified as either, whether man or woman, no matter where we are on our journey or what we may look like. How do we feel when the person beside us is lifted up? What are our motivations? What role or part can we play in our particular time and place? What does renewal in The United Methodist Church look like? Not just what’s a vital congregation or Call to Action, but what does renewal and revival look like where you are? What are the gifts and graces given to each of us? How can those be used? Instead of just hearing and absorbing what we hear and learn and are inspired by, what are our next steps? For some of us, we hear these inspiring things at conferences or on podcasts or in articles and we’re so tired and worn out and blah from the day to day or the uphill battles, that it’s hard to go forward. 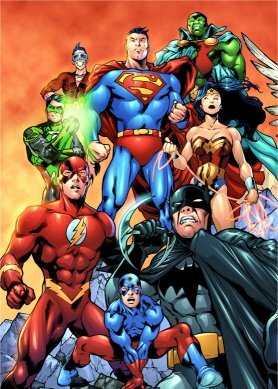 See, the thing about being lone rangers and thinking it’s all about us, is that we forget that we’re all in this together. Not just a cliche or a good thing to throw out there in theory or during a presentation, but seriously. Is there someone that you can be for real with and can bust open the good, the bad, and the ugly, and you know it will be okay? Who do we depend on to be our church? This is not just a “but mostly me” but something that if we are to survive, if we are to be a stronger, healthier, more grounded body – we’ve got to be supporters, advocates, confidants, friends to each other. This isn’t just the church or ministry folk, but all of us. It’s not about this congregation or that. It’s not just about shuffling our membership to churches as we like the pastor or not or the youth program or not or that they talk too much about money or focus too much on social justice. It’s about what’s essential and what the mission of the Church is. How do WE make disciples? How are WE in ministry WITH the community? How are WE growing and learning and changing and praying and leading and growing? It’s a heck of a lot more exciting and a lot less pressure when it’s not just all about me, but about all of us. Let’s celebrate that. How and why do we make it all about us??? What are some assumptions and world views that might change if it’s not so me-centric? What does the Bible say about all this me stuff??? How is evangelism a whole new ball game when it’s just about you, but it’s about the world? He is Risen! The cross still looms to remind us of the sacrifice and the promise that death and sin are defeated by the love and grace of God! We say that as Christians we’re an Easter people, a Resurrection people. I believe that and have given an enthusiastic “He is risen. He is risen indeed!” I don’t know if it was because Easter was so late in the season this year but I started off pretty well at the beginning of Lent in trying to be intentional about this journey to the cross, but as the semester began to draw to a close and the to do list piled up, our car was totaled and we were depending on just one car, three of us had strep throat, and we moved everything out of my grandparent’s house, Easter somehow got lost in the shuffle and all the upheaval of life. A clergy friend of mine posted the other day that Lent and Holy Week are her favorite time of the year. I love spring and the flowers and the sun out more (even though we haven’t seen that as much yet). I love the smell and feel in the air as people begin to come outside and play volleyball in the sand at Winthrop Lake, go on walks in the evening, and enjoy time on your front or back porch. The transition from winter to spring is an amazing one and I know that very easily makes a symbolic leap to death and the resurrection. So don’t get me wrong, I love this time of year, but I can’t say that I enjoy Good Friday. It’s like Saving Private Ryan or Schindler’s List where it’s not something that you watch every day to lift your spirits, but it’s something you know you need to watch at least once to recognize the sacrifice and the weight of what was cost. I hate to pick favorite anything’s but Advent and Christmas are probably hands down my favorite time of year. It’s such a powerful witness to me that the great God of the universe decided to come as a baby and dwell among us. Emmanuel, fully human and fully divine, is such a super big deal. You can’t have Easter without that in-breaking of the kingdom where God became a vulnerable baby right here in all of our human frailty and all the kaleidoscope of human experience. In some ways it’s the same reasons that I love watching The Ten Commandments with Charlton Heston the night before Easter every year. There’s something about when Moses says,” I want to know God,” as he longs to go on the mountain, and something sacred and special about this God who speaks and delivers the people. There’s something about Ramses in the movie when challenged to cry out to his gods for help saying about Moses’ God, “His God, is God.” A God that could have anything or do anything God wants, that chooses to be in relationship with God’s people, that chooses to bring deliverance and justice, and that chooses to be present in the midst of suffering – that is something more powerful than any adjective could describe. 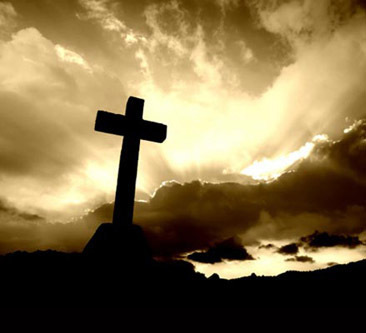 In thinking about Easter, I think a lot of my unease is around Good Friday. It’s easy for us to lift up the tiny baby Jesus a la Ricky Bobby or in pictures and greeting cards, but you don’t see people sending out greeting cards or putting giant pictures of Jesus still hanging on the cross, crucified with the nails and the blood and the crown of thorns. It’s easy to believe in this present and loving God that chooses to be with us, it’s a little harder to take the responsibility that all the suffering he did on the cross was for us. That’s a little more weighty and pricks our pride a bit for those that think works or merit or self-seeking is what makes things happen, which is why I think we often rush straight from Palm Sunday right on to Easter and the resurrection. We know it ends well and it’s all good and grace for us, but it’s hard to hear the words from Gethsemane, “Father, take this cup from me.” It’s hard to read about the suffering much less watch anything like the Passion where we get an up-close and personal look. If we really believe that Jesus died on the cross for our sins. If we believe that this innocent man was martyred for us, how does that change how we live our lives? Does it? Sometimes Easter makes the sacrifice look easy and the grace that’s thrown out in bushel-full’s seem simple. But then I think about Peter and the other disciple running as fast as they can to the tomb and Mary weeping there. This was real and personal and not something just long ago, but something that affects each of us as Jesus calls our name. How would you describe Easter? How would you describe what Jesus did? Using real life language, what would you say? In thinking about how to describe the Easter story to Enoch and Evy in ways that they understand, do I just pop in a Veggie Tales video on Easter or read them a children’s book or hope they pick up something at church? How do we explain to the world what Easter means, not just the cute little baby Jesus, but the full scope of the story? There’s a line to a song that I heard the other day that says “there’s no hope without suffering.” There’s no hope without suffering. I don’t know if that’s wholly true all the time, but I do believe that the hope born from suffering is a real and sustaining hope indeed. What kind of resurrection hope are we offering our world? This isn’t a hope that tells you that everything in life is going to be easy or rainbows and butterflies. It’s much like our South Carolina motto, “While I breathe, I hope.” This is a hope that says that no matter what, even on the darkest of days, that God is with you. Sin and death have been conquered and new life, eternal life, abundant life, is offered in Christ. No more do we have to make the same mistakes over and over, but through the power and grace of God and the Spirit that intercedes for us, we have the promise of something more in this life and a story unfolding far more magnificent, magical, and miraculous than any royal wedding, any Lifetime or Hallmark movie, or anything we may try to do on our own. Beyond any “greatest story ever told” this God of Advent and Christmas, Lent and Easter, and everything in between – this God is seeking us and calling us to live this resurrection life out loud in the world by loving God, loving our neighbor, and loving ourselves to know that we don’t have to do it all, but we just have to depend on the One who did it for us.